Saturday night saw the publication of this column from CBS Sports’ Gregg Doyel. I don’t believe Gregg intended to be as insensitive as he comes across. I really don’t. He appeared to be legitimately baffled by some of the fury he received after publication and that’s the nicest thing I can say about the entire debacle. Let’s get to it. You’re likely familiar with FJM’s format, bold text is Gregg’s unedited column with my interjections throughout. Jerry Kill suffered his fourth seizure in 22 games as head coach of Minnesota on Saturday, raising a question that is awkward to ask about any grown man, much less one as kindly as Jerry Kill. And make no mistake, this is a kindly man. When he was coaching Southern Illinois, Kill started a foundation to help low-income patients fight cancer. This is a worrisome start Gregg. Maybe don’t ask your question. You could stop right now and walk away. You could write a nice article about all the wonderful work Coach Kill has done. Both of these seem like pretty good ideas. 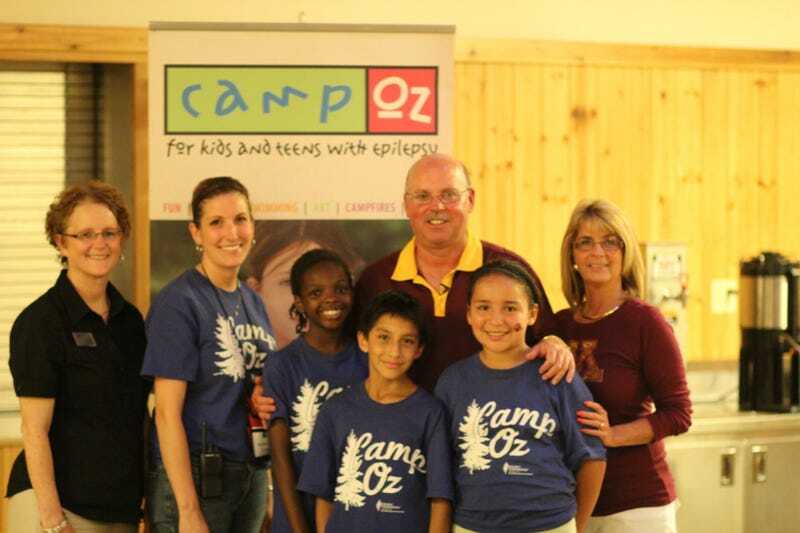 But make no mistake about this, too: Jerry Kill's epilepsy is a major concern — and not just for Jerry Kill. You’re right! It’s probably a concern for Jerry’s family. I would expect his team and staff have also come to personally care for Jerry and find themselves concerned for him when he suffers epileptic seizures. As much as those words stun him, he kept thinking about the children with epilepsy he’d met the previous summer. "If you’re calling me a freak, what about these kids that go to school and have a seizure? What do kids say about them?” Kill said. “I decided maybe I need to quit hiding. Maybe I need to step up to the plate." There will be people, maybe even most people who read this story, who will fall back on the default position that Kill is a grown man; if he wants to risk dying on the sideline — doing what he loves — that's his choice. Correct. It’s called patient autonomy and it’s a major ethical concern in medicine, if not the major concern. If the public health isn’t put at risk, people get to make their own decisions regarding their health and lives. And you know what? In a vacuum, that's 100 percent correct. If Jerry Kill is OK with the risk to himself, who are any of us to tell him he's wrong? That's not our business. More valid points. Although I’m a little concerned the phrase “in a vacuum” implies this isn’t 100 percent true outside of a vacuum. It’s always true Gregg. Always. But this issue, and these seizures, aren't happening in a vacuum. They're happening on game day, often right there on the sideline. This is an issue that's bigger than Jerry Kill and the personal risks he's willing to assume. What about the risks everyone else assumes? What if he has a fatal seizure during a game, in full view of the stadium? You have to be kidding me. It is not our business Gregg. I don’t even know how to respond to this. “What about the risks everyone else assumes?” What risk? Witnessing a seizure? What level of public exposure would you allow people with epilepsy, Gregg? Can they walk their dog in the neighborhood? Individuals with severe, uncontrollable epilepsy symptoms aren’t allowed to drive, since that would pose an actual risk to everyone else. Can they ride the bus? What about planes? Can you imagine those poor people who could potentially be forced to witness a seizure on a plane? How dare they put us through that. And that seems to be a legitimate risk, given that Jerry Kill has suffered four seizures in 22 games. The math is pretty easy: Since being hired by Minnesota before the 2011 season, Kill has suffered a seizure every five or six games — and the frequency is increasing. He has suffered three seizures in the last 11 games, and was unable to finish two of them. Well sure, the math is easy if you make grossly generalized assumptions from minimal data. Four seizures in 22 games. That’s two years in college football. Four seizures in two years and you’re prepared to say the frequency of his seizures is increasing because three of these seizures took place in the last year? Jesus. Coach Kill has declined to answer specific questions about the number of seizures he’s suffered away from coaching and you know what, good for him. That’s his business. No reason the public and media deserve those details. No reason at all. This is a problem, and a heartbreaking problem at that. You think this is me, coldly and unsympathetically wondering if Jerry Kill should resign? Don't think that. This is me feeling terrible for a man who has devoted much of his life to football, and who reached the pinnacle of his profession in 2011 when he made it into the Big Ten as a head coach — and who is doing a great job. At Minnesota his teams have gone 3-9, then 6-7, and now 3-0 early in 2013. No Gregg. I think this is you coldly, unsympathetically, incorrectly, inexplicably, and insensitively implying Jerry Kill should resign. Don’t feel terrible for Jerry Kill, feel terrible for what you’ve written here. Feel terrible for your implication that a person diagnosed with epilepsy is placing a risk and burden on the public by existing. Of course Jerry Kill doesn't want to resign. He wants to keep using his platform to raise money for low-income cancer patients, and to keep using his platform to raise awareness about epilepsy. He's a spokesman at the state and national levels, and he and his wife, Rebecca, are acting as hosts for a second annual epilepsy awareness game Oct. 26 vs. Nebraska. Kill is doing good work for Minnesota football, and for epilepsy patients, and I'm thinking about that as I write this. But I'm also thinking about everyone else in the stadium the next time Kill has a seizure during a game, whether it's at home or on the road. People die from epileptic seizures. It's called Sudden Unexpected Death in Epilepsy (SUDEP), and according to EpilepsyFoundation.org it happens to about one in 1,000 epilepsy sufferers per year. But the odds go way up for people who, like Kill, have more frequent seizures — as high as one in 150 people. I’m not a neurologist. I don’t believe Gregg is either. I also kind of want to ignore this paragraph entirely because it really doesn’t matter. It doesn’t. Everything here could be true and apply to Coach Kill and every single one of Gregg’s implications and conclusions would remain egregiously wrong. I’m not going to totally ignore it though, because the substantial population of people with epilepsy deserves these facts to be publicly presented in proper context. Thank you to John Annegers and Sharon Pasternak Coen for authoring SUDEP: Overview of definitions and review of incidence data, an article I found in 30 seconds via Google. The following graph shows sudden unexpected deaths in the general population, the intractable (difficult to control) epileptic population, and the non-intractable epileptic population. FYI, “per person-years” describes what you’d expect. One seizure in one person monitored for 2 years is 1 per 2 person-years. One seizure in two people monitored for 2 years is 1 per 4 person years. Per the study (emphasis mine), “General population rates of sudden deaths climb logarithmically from around 5/100 000 in young adults to about 300/100 000 in the elderly. The incidence of sudden death in young adults with intractable epilepsy is many times that of the general population, whereas in older age groups the relative increased incidence of SUDEP is small or perhaps nonexistent.” Coach Kill is 52. We know that he’s had at least 4 seizures in the last two years. We don’t know his treatment plan. We don’t know his medications. If we did know those details, we wouldn’t know how to properly evaluate them because we’re not Coach Kill’s neurologist (or any neurologist). Even more importantly, it doesn’t matter even the most miniscule amount if the statistics were as simple as Gregg stated. Could Jerry Kill be that one in 150? Gosh I hope not. You hope nobody dies from epilepsy ever again, but denial doesn't do any good. People really do die every year from epileptic seizures, and Jerry Kill really does have multiple seizures every year, and his seizures really do seem to be increasing in frequency, exacerbated by the stress of coaching a Big Ten football team on game day. This is beyond infuriating. It’s damaging in its ignorance. That's Jerry Kill's job. But should it be? I'm not asking for him. Apparently he's decided what's best for him, and that's his right. But what about what's best for everyone else?